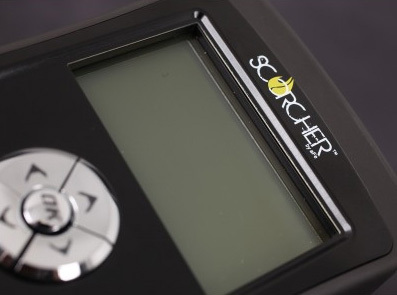 Get the most out of your Jeep JK Wrangler aftermarket parts with the aFe Power Scorcher tuning system. Adding the Scorcher tuning system for your Jeep JK Wrangler is one of the easiest ways to increase your power while maintaining driveability. When matched with the aFe Power intake, exhaust, and manifolds, the tunes on the Scorcher tuning system produce up to 24hp and 24 lb/ft torque gains. Get the most out of your Jeep JK Wrangler aftermarket parts with the aFe Power Scorcher tuning system. Adding the Scorcher tuning system for your Jeep JK Wrangler is one of the easiest ways to increase your power while maintaining driveability. When matched with the aFe Power intake, exhaust, and manifolds, the tunes on the Scorcher tuning system produce up to 24hp and 24 lb/ft torque gains. 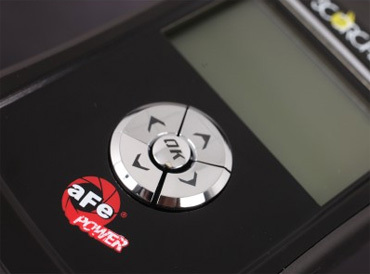 aFe Power collaborated with Superchips to create tunes to maximize power in your Jeep without sacrificing safety to the engine. 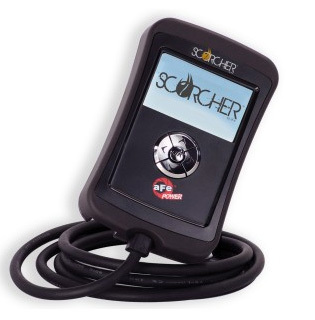 The aFe Power Scorcher tuning system contains a variety of tunes for your Jeep to suit your driving needs. The prompts are easy to follow, making it easy for you to add the power you and your Jeep deserve. Fuel delivery and injection timing for increased horsepower and torque. Optimize shift times and patterns of your Automatic Transmission for better placement of available power. Read and clear check engine lights/codes?MIL. Tire pressure monitoring system adjustment for extreme terrain (Jeep System Only). The aFe Power Scorcher Tuning System for Chevrolet Jeep is a beginner to medium-level installation. Only basic hand tools are required, but knowledge how to tune your vehicle is required.